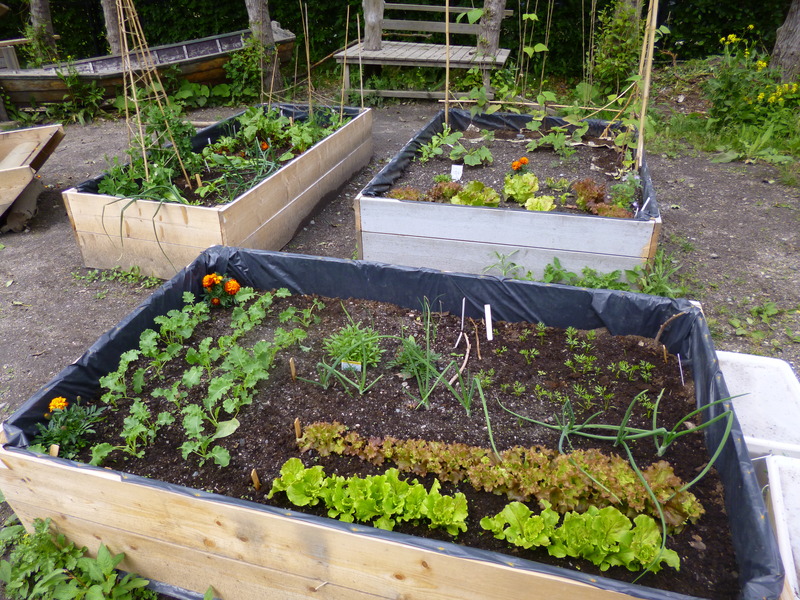 In 2014 I approached my local school and proposed developing a school kitchen garden within their small playground. Teachers were enthusiastic and, with their encouragement, I began planning out the design. I had never attempted to grow anything of this scale so far north before. Factors to consider included the arctic climate, long daylight hours and length of growing season. 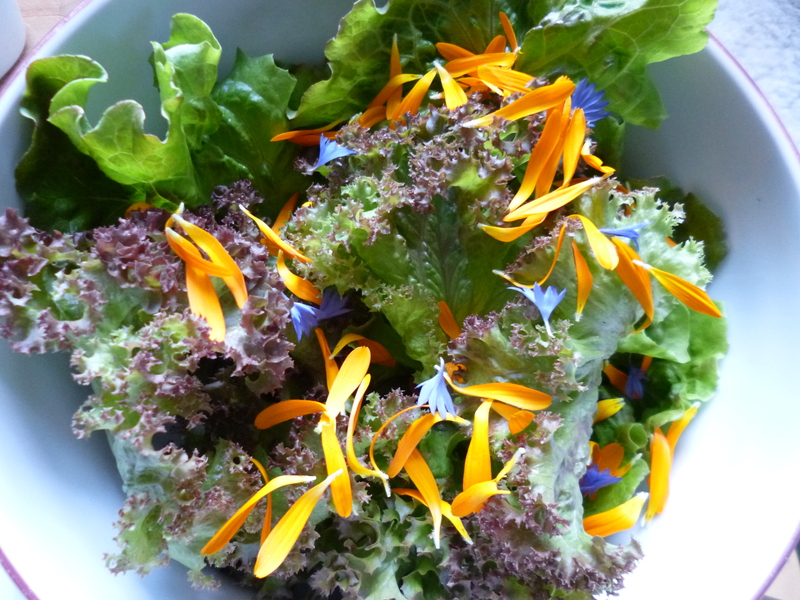 I wanted to experiment with growing a variety of vegetables alongside edible flowers, herbs and pollinating plants. Above all, I wanted to show what was possible. These could be replaced by three smaller beds, approximately 90cm x 100/150cm long which could be narrow enough to allow staff and pupils to access the beds from all sides without overeaching and risking injury. They would also be deeper (approx 40cm) as in some areas the ground was so hard it was impossible to break down, so the beds would need to be deep enough to enable deep rooting plants to grow there. The site was open and exposed and on a slight incline but didn’t have direct shadowing from nearby trees or buildings. It faced south west, so would have the advantage of getting sun all day, which in the summer would take advantage of the long daylight hours. 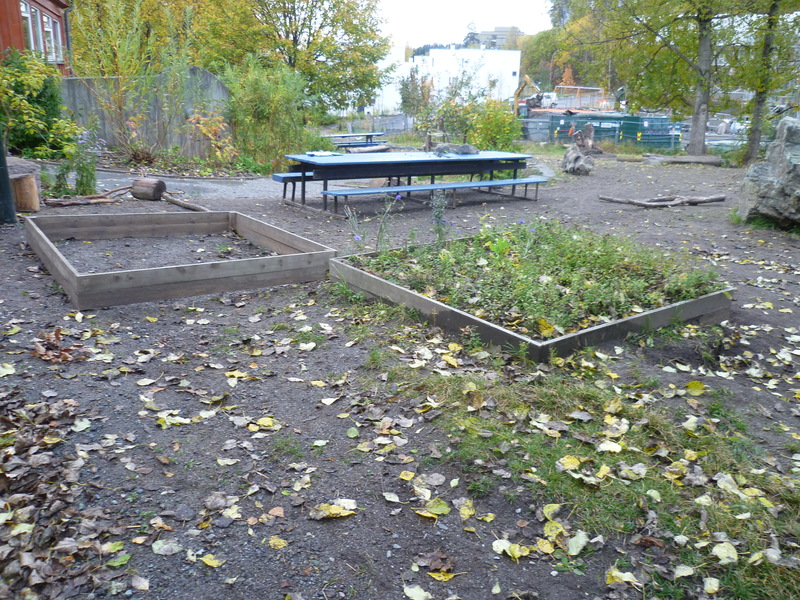 With the help of the staff new planters were made using left-over untreated wood planks and when in their final positions, I lined the wood with heavy duty plastic (refuse sacks). Lining isn’t essential but it protects the inside of the wood from rotting and therefore prolongs the life of the planters. I used a simple soil testing kit to test the old soil. 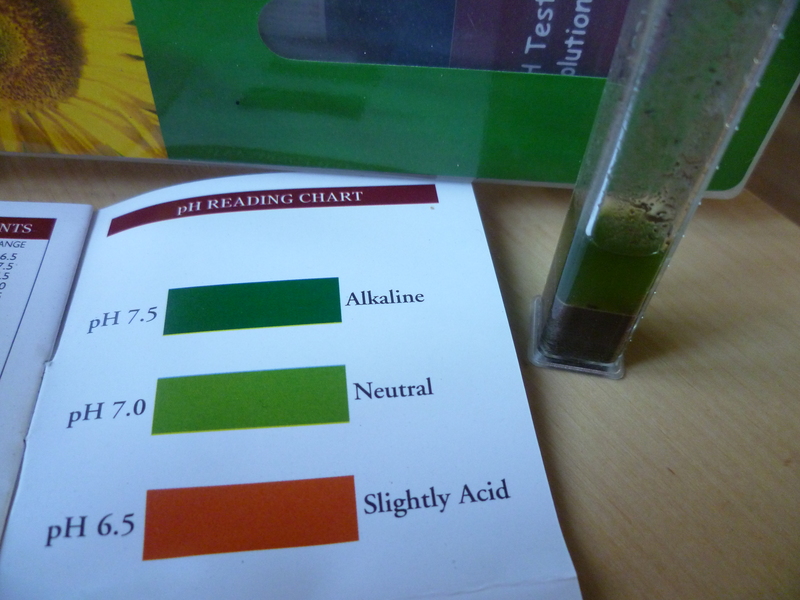 Results showed that the soil was around pH 7 (neutral). For most plants this is around the optimum. I added some shop-bought soil/manure mix to make up the planters to a good depth of soil whilst also injecting some nutrients to the soil and adding some structure. 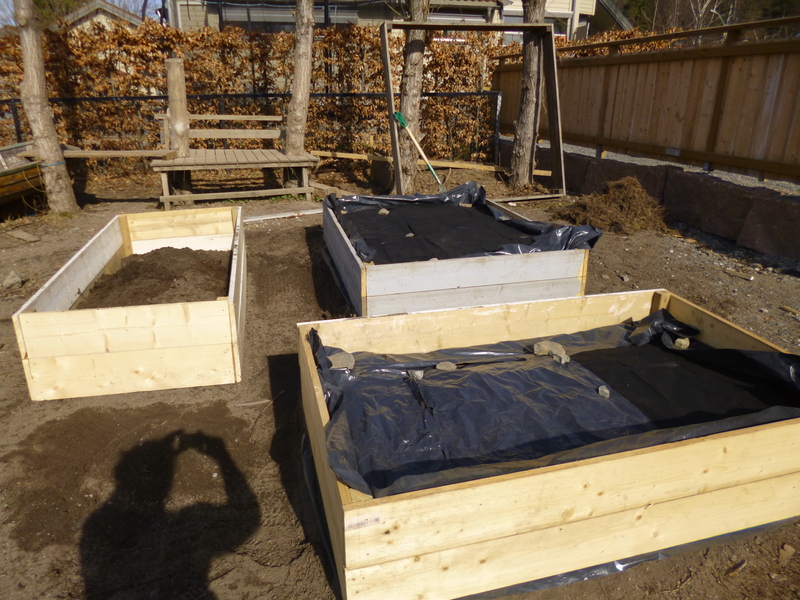 Here are the final beds all covered to enable the soil to warm up and stay dry prior to planting. Planter 1: Lettuce, kale, carrots. Interspersed with chives, hyssop and marigolds (Tagetes). Planter 2: Courgettes, more lettuce, taragon, climbing beans and edible flowers mix. 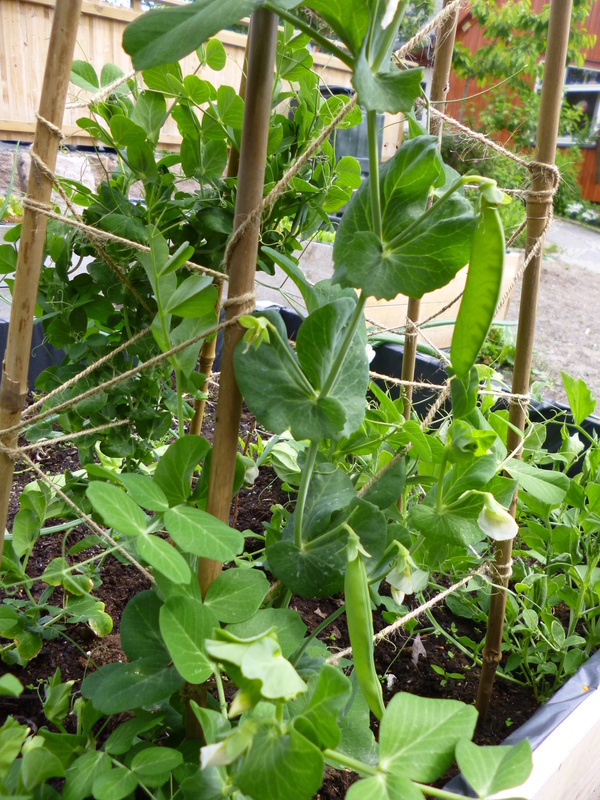 Planter 3: Peas and sweet peas on a bamboo wigwam; edible flowers, onions, beetroot, chard. A few weeks previously I had given some seeds a head start by sowing them indoors while the weather was still too cool and the soil hard. The photo below was taken in mid May, once I had transplanted these indoor seedlings alongside those sown directly into the planters. All the most intensive work had been done. All that remained was wait….and check the beds for weeds popping up every so often and water when necessary, using a watering can with sprinkler attachement. Here are pictures of progress. 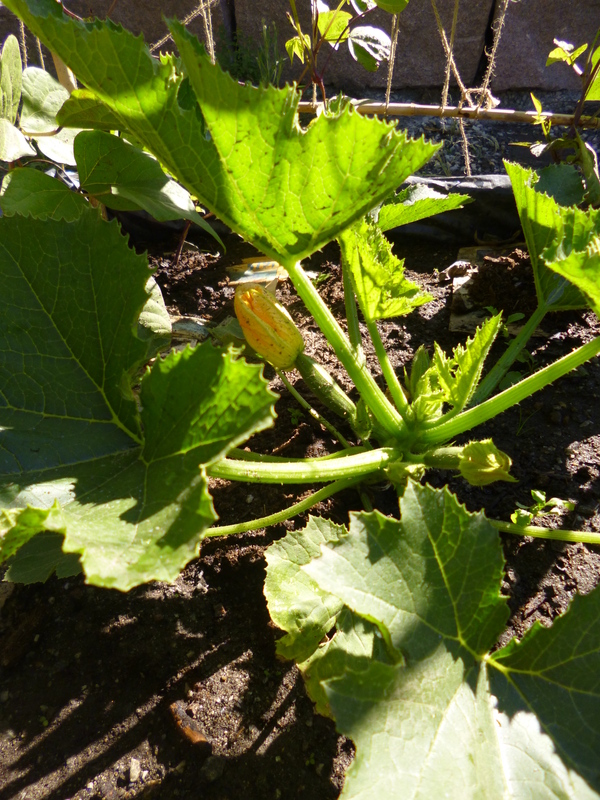 As the weather heated up and days grew long around mid-summer’s day, the plants were watered each morning. 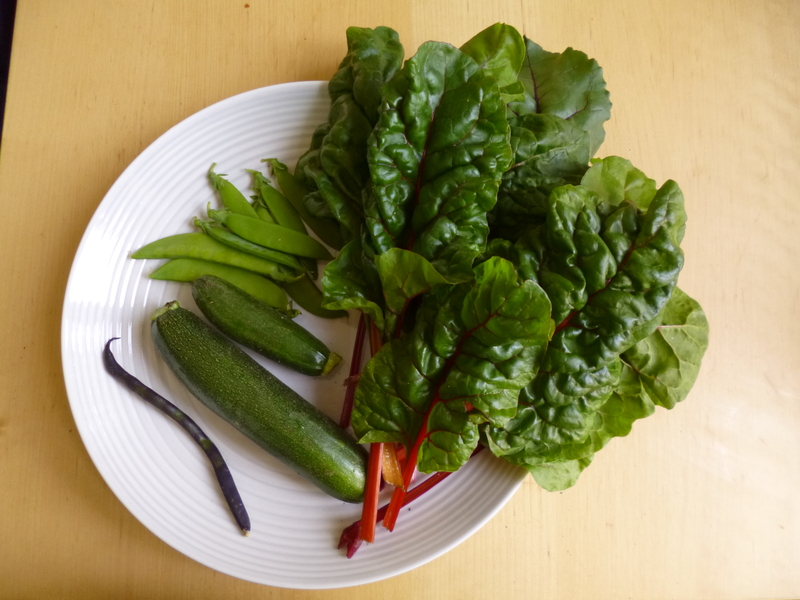 Once a week veg (exluding legumes) were fed with two home-made fertilisers: one a nitrogen-rich nettle fertiliser and, the other, a potassium/phosphorous-rich fertiliser made from dried banana peel which was sprinkled at the base of the courgettes. 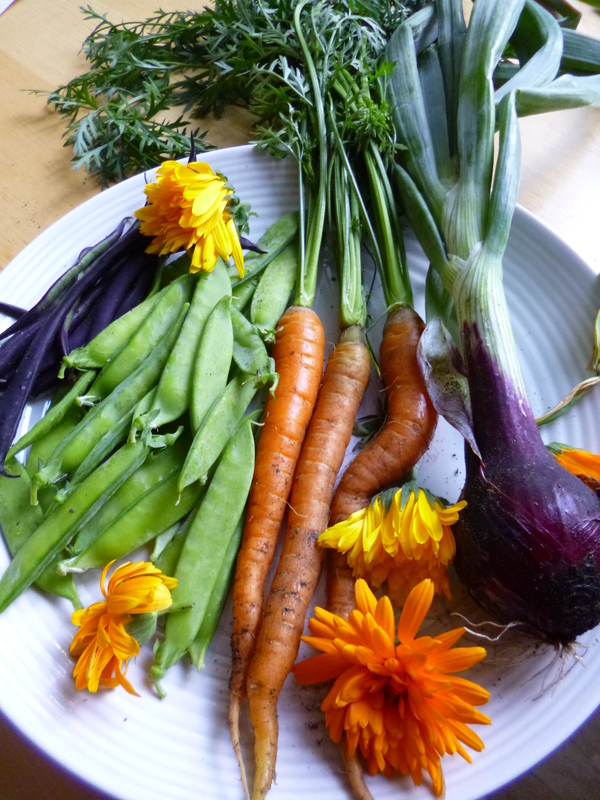 Harvests kept on coming all through the summer, right up to the first frosts in September. It was amazing to think of how such a relatively small space could produce so much. Once all the plants had produced all they could and with winter just around the corner, any remaining plant material was cleared away. A couple of layers of newspaper followed by a layer of leaf mulch collected was laid over the beds to add some organic matter. By spring the soil would be ready again for the new planting season. Follow my progress under ‘Food Growing’ updates.